If you follow me on Instagram you'll have seen that I've been experimenting with dark lips. After testing the look for a few days in the comfort of my own home, I decided to brave the outside world and venture out with my dark berry lips on full display! It all sounds very dramatic but this look is quite out of my comfort zone, however, I'm always up for trying something new and after Zoella raved about the Revlon Colorstay Moisture Stain (£7.99) I figured there was no time like the present. I opted for the shade Parisian Passion which I think is the darkest colour in the range. I've noticed that the American version of the Revlon website now has swatches of each lip colour on models with varying skin tones which I thought was a really handy feature seeing as so many of us buy makeup online now! Anyway, as the colour is rather dark, I also decided to use a lipliner for a sleek finish. I find that using bright or dark colours have a tendency to smudge outside of the lips more noticeably when a lipliner isn't used. Maybe that's just me??? 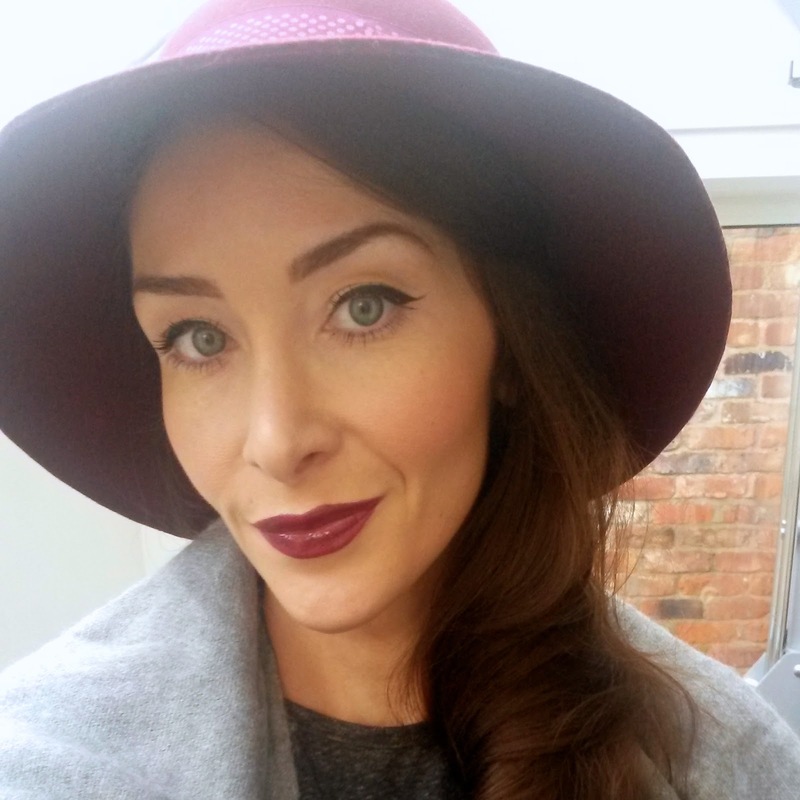 I used the Sleek Eau Lala pencil in shade: Venom, £4.99. 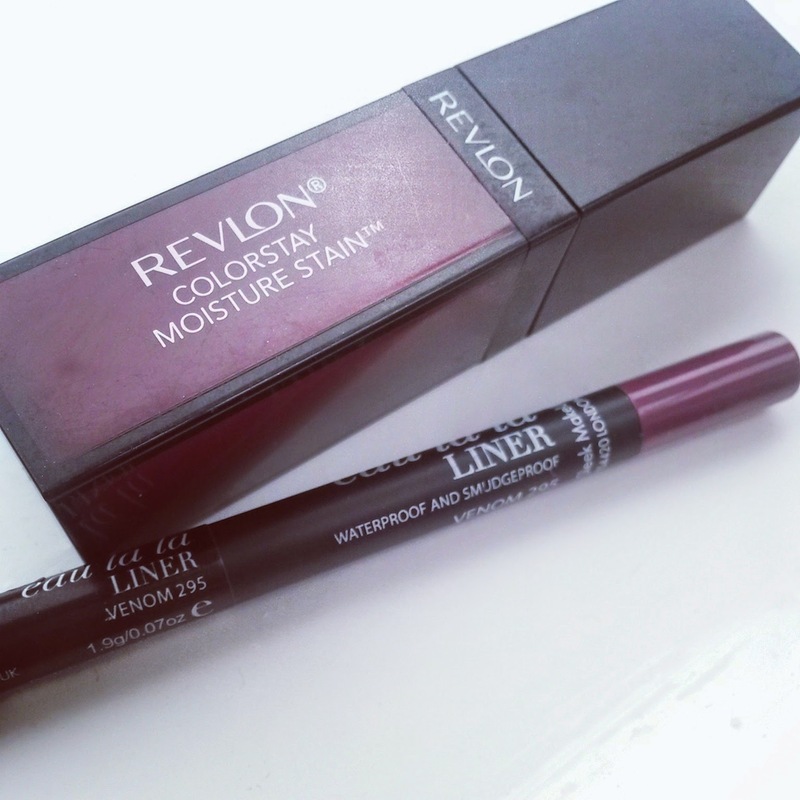 The liner is very creamy, highly pigmented and has really great staying power ...plus it's a bargain! Back to the lip stain. It's very glossy for a stain and I was actually taken aback at just how shiny the finish was. The initial texture is almost gel like and it's not like anything else I've ever used before but this didn't bother me, and seemed to disappear quite quickly. I was a little surprised at how streaky the finish was; I needed to apply a few coats to make it totally opaque and obviously using a lipliner all over the lips also helps this issue. I'm not sure if this was due to the dark colour as I've not heard anyone else mention this problem on any reviews I've read. It contains vitamin E and Aloe Vera to help keep the lips moisturised, but I also found that applying a lip balm first made my lips feel hydrated throughout the day. One thing I really like is the lack of transfer and fading which can be very annoying and unflattering when wearing dark lipstick whilst eating and drinking. I did top up after my meal but I definitely didn't 'need' to, this was just personal preference to keep it looking fresh. As I mentioned on my December Currently Loving page, I feel quite empowered wearing the dark lips haha, it's certainly something I'll be doing more often, and I've found that it's an easy way to turn a standard makeup look into a chic makeup look!